Unique opportunity! 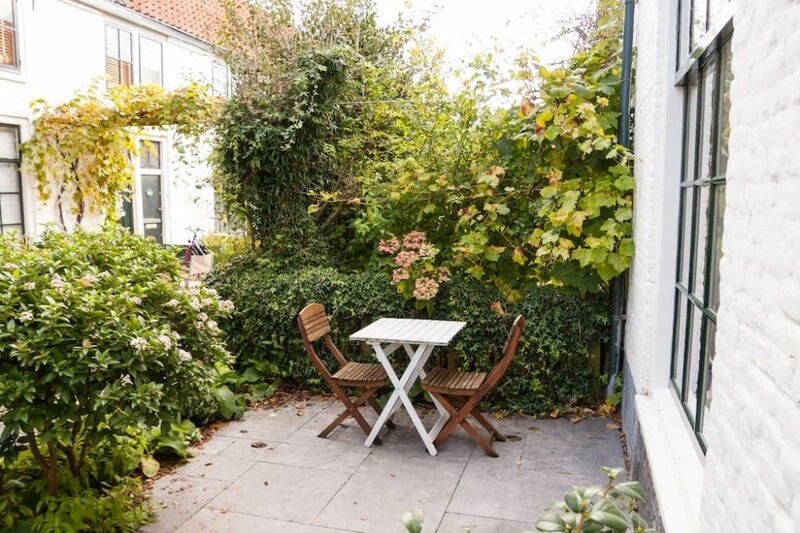 In the Archipel, this charming 2 room courtyard house (1 bedroom) is available on short term. The house is in good condition with a lovely open space and design furniture. The location is central to supermarkets, shops, the centre of The Hague and also good public transport connections. Very quiet to live, where you can hear the birds sing, but close to everything. The perfect combination. Lay-out: cosy and sunny front garden. Entry into the hall, where the toilet is located and the entrance to the living room. The living room is bright and has a nice wooden floor. Through the living room you reach the semi- open kitchen, which is equipped with gas hob, extractor fan, fridge/ freezer, combination microwave/ oven, dishwasher and coffee machine. By means of a stairs, the first floor is reachable, where the good size bedroom is located as well as the modern bathroom. The bathroom has a shower, washbasin and washing machine.